Just listed must see home in the sought after community of Seabreeze. Located between Watersound and Rosemary Beach, this home features 3 bedrooms, 3 1/2 bathrooms, a 3 car oversized garage, screened lanai, a pool, a gourmet kitchen, and 2,704 sq. ft. of heated and cooled space. The community of Seabreeze offers a deeded access to the beach and Camp Creek as well as easy access to all the entertainment 30A has to offer. This home is an absolute must see with many upgrades. 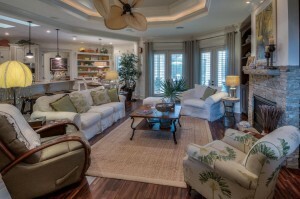 Call us today to view this beautiful Seabreeze home.